In my opinion, I think you would be hard pressed to find another subject, paranormal or otherwise, other than politics, that individuals can me more emotional about. If you believe the stories, and there are quite a few of them, they are responsible for everything from turning cities to salt, to saving babies in burning buildings. Theories on their existence, or lack of, are just as varied. The theories include everything from ancient astronauts, to servants of "God" or "Satan", spirits or souls of the dead, polytheistic deities (Apollo, Venus, Gaia, etc), or "who knows what". It is kind of striking how the camps break down. It appears that people either believe in one (1) of the theories very strongly or they fall quite solidly in the "who knows what" category and seem quite resistant in even contemplating what they could be. Is this a fear of the unknown, a fear of what may be, or maybe its just complacency to even theorize on something that they believe is just plain non-sense? Whatever the case is many books have been written on the subject, some religious and some not, but the fact is that at the end of the day many people don't know more about angels than what they've seen in pop culture (see Frailty and Dogma). Maybe they know the names of some angels like Micheal and Gabriel. They may have even heard about the Book of Revelation in the new Testament of the Bible where the "war is heaven" is described, again another reference brought to the fore front by being the basis of screenplays (see Constantine and The Prophecy). Truth be told, most of the things we know about angels is not in the Bible. The Bible only references seven (7) angels. Michael as one of the leading angels is considered "Prince" of the heavenly hosts, and appears twice in the Book of Daniel (10:13 and 12:1). He is the only one in the Bible referred to as an Archangel (Jude 1:9), and serves a major role in Chapter 12 of the Book of Revelation. The angel Gabriel first appears twice to Daniel (Daniel 8:16 and 9:21), but is best known for the Annunciation to Mary that she would be the Mother of Jesus, the Son of God (Luke 1:26-38). The Book of Tobias (Tobit 12:15) names Raphael as "one of the seven who stand before the Lord." Revelation 8:2 also refers to the seven angels who stand before the Lord. The seven are Michael, Gabriel, and Raphael, the three named in the Bible, and Raguel, Remiel, Saraqael, and Uriel, named in Enoch (20:1-8), a book found in the Dead Sea Scrolls and in the Bible of the Eastern Orthodox Church of Ethiopia. So, if these are the only ones referenced in the Bible and these are the only situations they are referred to in where does the rest of the lore, and the innumerable names of them come from? This in itself is just a very small sampling of all the non-canonical texts, and these are representative of just the Judeo-Christian genre. Remember that the holy book of Islam, the Koran, shares much of the old testament of the western bible, and has just as many fascinating stories. This is where the Angels reside, this is where they dwell truly in our literature. Now, lets keep this in mind, this is a blog post. We cannot expound on everything "Angels" in just one post. That would be impractical and probably not much fun to read. There is a lot of material out there and, as I stated above, much of it is alien to all except for a few biblical scholars. That being said, there is a lot of material that has not been referenced for movies and books that is just as fascinating, some would even say bizarre. There is a reason why the early Judeo-Christain leaders allowed some books into the Bible, and why some were not. Mind you, the Bible is full of miracles and wonders, but if everything ever written intended for the Bible, was in the Bible, it would be tens of thousands (10,000's) pages long and be full of material that would rival our most outlandish fantasy novels. A book like this would be firstly too ungainly for all but the most wealthy, and secondly would most likely classified as more of a book of mythology, and less a book of historical fact. Today we will taking a very small, but interesting sampling out of angelic lore. Today we will be speaking of "The Seven Heavens". Even with all my ribbing of pop-media using angels for material, and me speaking of all the relevant material other than they have utilized, I have chosen a subject that has been touched fleetingly by the media. In nineteen twenty-nine (1929) a film was released named "Say it With Songs". In it the legendary Al Jolson sings a song called "I'm in Seventh Heaven", but what does it mean? In the song a man sings about loving a woman but there is much more to the "seventh heaven" than that, and it starts with a man named Enoch. Enoch was a man who lived nine-thousand (9,000) years ago, according to the Bible. If you look above you will note that "Book of Enoch" is one of the apocryphal texts. The contents of said book are quite extensive and filled with some of the more incredible stories of the Bible. After all, its not everyday you read about a man who doesn't die, walks with God, told the secrets of the universe, visits the Garden of Eden, and is made into an angel who is called the "king of the angels". My suspicion is this prophet will be revisited in future posts but for today lets concern ourselves with the "secrets of the universe" part of his resume. The story of when Enoch is shown the seven (7) heavens is in Second Book of Enoch, in the first two (2) sections. In the first section (chapters 1-21) Enoch, when already at the age of three hundred and sixty-five (365), is taken by two angels and made to pass through the seven heavens, one by one. The first heaven is found to be the place where the angels control atmospheric phenomena. In the second heaven he finds the prison for the rebel angels. In the third heaven he finds both paradise (as in 2 Cor 12:2) and hell for the men. The fourth heaven is the place of movements of the sun and of the moon which are described in detail. 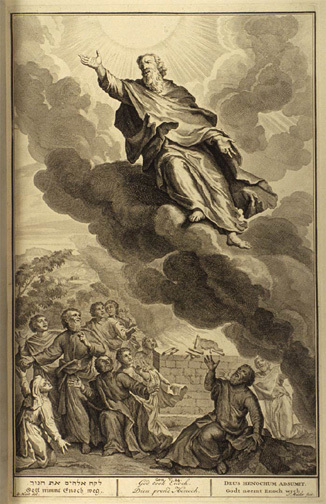 In the fifth heaven Enoch finds some Grigori that are grieved and he persuades them to resume their liturgical service. In the sixth heaven he finds the angels in charge of governing the cosmos and peoples. In the second section (chapters 22-37) Enoch, now guided by Gabriel, is allowed to enter in the seventh heaven where he sees the Lord face to face. Afterwards he is anointed by Michael and becomes similar in appearance to the angels. The Lord asks the angel Vereviel to dictate to Enoch three hundred and sixty (360) books containing all that is knowable. 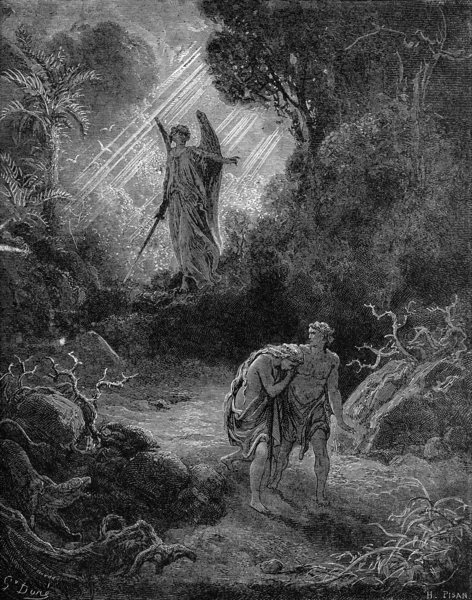 Later, the Lord himself tells to Enoch the secrets of the creation up to the flood, which are unknown even to the angels. Enoch is finally sent back on the earth for thirty days. First Heaven (Shamayim) - The angelic ruler is Gabriel. This is has been said to have been the abode of Adam and Eve. As the other heaven's are situated in the vault above the Earth, this heaven seems to almost exist next to the Earth. (En:III:1) "Eventually, we landed on the First Haven and, there, they showed me a very great sea, much bigger than the inland sea where I lived." Second Heaven (Raquia) - The angelic ruler is Raphael. This is where Enoch claims the fallen angels are imprisoned. Both Moses and Enoch visited this heaven which is also rumoured to be the dwelling place of John the Baptist. Third Heaven (Sagun or Shehaqim) - The angelic ruler is Anahel. It is also the domain of Azrael, the Islamic angel of Death, which seems to accord with Enoch who places Hell within its northern boundaries. Here the wicked are punished and tortured by the angels. Fifth Heaven (Machon or Ma'on) - Seat of God, Aaron, and the Avenging Angels. Angelic ruler is Sandalphon, even though some authorities claim that Sammael is the Dark Angelic Ruler. Land where the gigantic Grigori serve eternal punishment for what they did to the daughters of man. It is here where they crouch in silent and everlasting despair. Sixth Heaven (Zebul or Makhon) - Domain of duality. Zebul rules by night and Sabath by day. 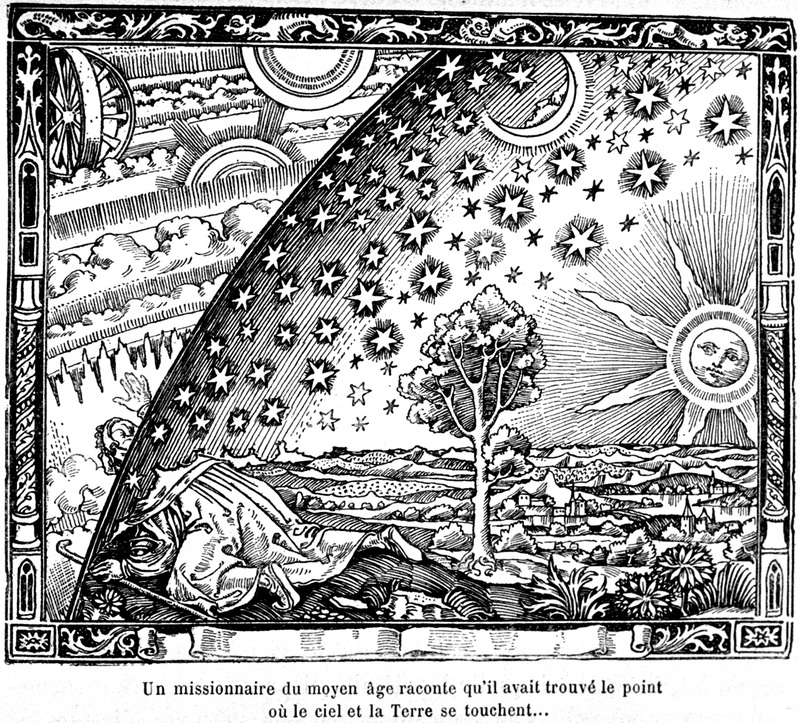 Dwelling place of seven (7) Phoenixes and seven (7) Cherubim who chant in praise of God, and a vast host of Shining Ones who study time, ecology, the seasons and mankind in a vast Building of Knowledge. Seventh Heaven (Araboth) - The Angelic ruler is Cassiel. This is the abode of God on His Divine Throne, surrounded by Seraphim, Cherubim and Wheels all bathed in ineffable Light. So, the question must be asked, where was Enoch? The truly devout will tell you that he was just where the Bible tells you he was, in the various heavens that make up the Kingdom of God. Others may say that this may just be a clever story attempting to answer some of the questions that the early church would get asked. Like, "Where is the garden of Eden?" or "Where did the fallen angels go?" It might be noted as well that multiple heavens are being used as penal colonies for those that have angered the Lord, possibly a not so subtle hint to the people of the ancient world not to trifle with the God of the Jews. Some may even say that Enoch was raised off the ground by something that his mind could not fathom and was shown things that he could not comprehend. Dare I say an ancient astronaut encounter which he may have tried to explain using what he knew of the world, God and Heavens. In the end, we may never truly understand what happened to Enoch. Where he went and what he saw is purely the opinion of the reader.